With travelling, comes the buzz of excitement as you explore new surroundings, taste new cuisines and experience unique cultures. Do you ever though feel that twinge of guilt or burst of nerves that perhaps you shouldn’t have done something? Or perhaps you just feel a little out of your comfort zone and unsure what is the polite or local way to do things? 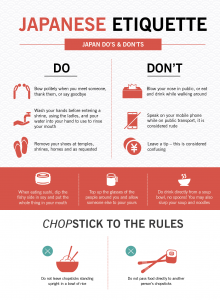 Particularly in Japan, travellers have the perception that Japanese etiquette is very important. Well have no fear, Wendy Wu Tours is always here to help you and make sure your holiday is the most enjoyable you can have. 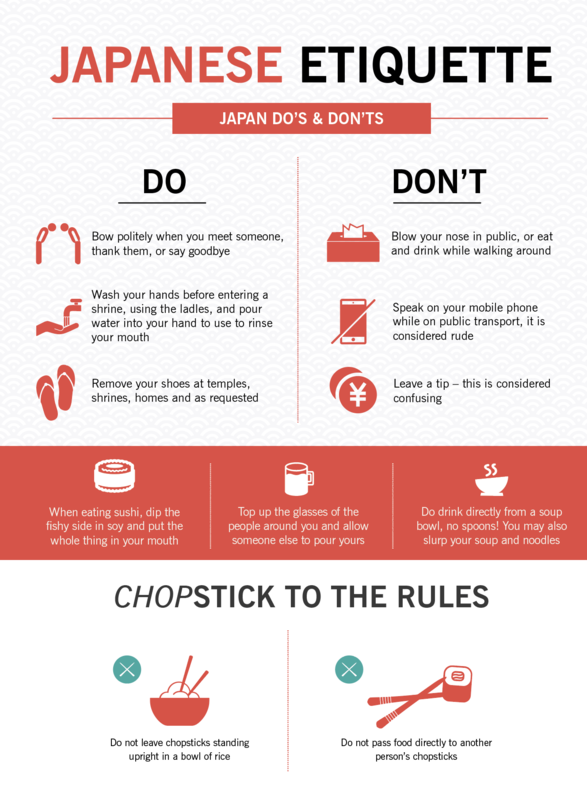 So without further ado here are some top Japanese etiquette tips for you to consider when travelling to Japan. It is standard Japanese etiquette to bow politely when greeting, thanking or saying goodbye to someone. A bow can range from a small nod of the head to deep bend at the waist. Don’t worry, however, most Japanese do not expect foreigners to know the duration or depth of a bow so a slight incline of the head will usually suffice. Shaking hands is not as common so always wait for the opposite party to offer their hand first. If a building has a sunken-foyer entrance, often referred to as genkan, there will normally be shelves of footwear by the door. 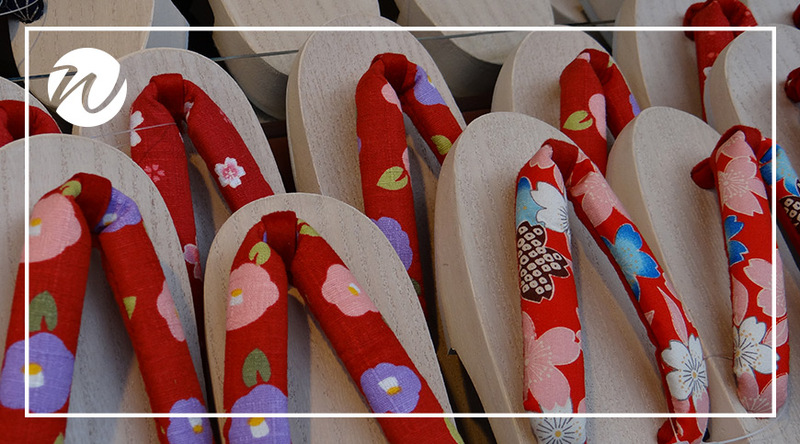 Japanese etiquette tip – this is your number one clue to remove your footwear! You will always have to remove your footwear going into private homes and temples also. Some restaurants with tatami will also require shoes to be removed. This is non-negotiable! Fear not though because you will always be given some comfy slippers to replace your shoes with. Time to put those chopstick skills to the test! Avoid playing with your chopsticks – so no drumming practice, please. 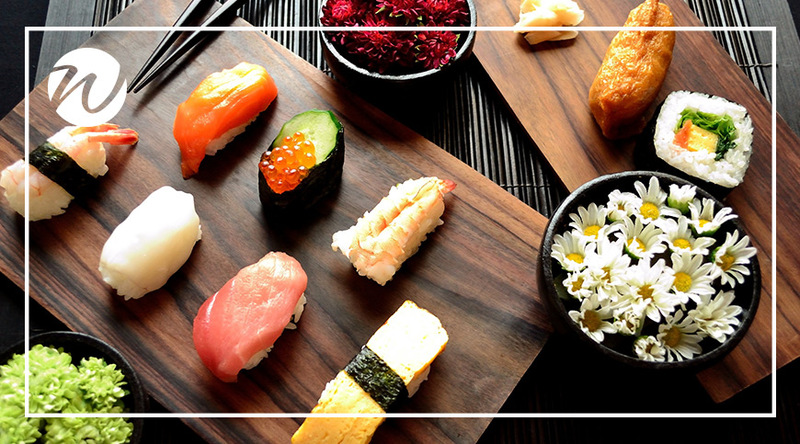 Also, avoid leaving your chopsticks standing upright in your bowl or rice or passing food directly to another person’s chopsticks – these are actions associated with funerals. Feel free however to slurp your noodles as loudly as you like! Yes, you read right, slurp away! Slurping loudly is a way of showing you are enjoying your meal. Blowing your nose in public is rude, so if you have a case of the sniffles or about to sneeze duck away to somewhere private to avoid any unnecessary looks or disrespect. Should you wish to exchange cards or gifts always use two hands to give the card and to receive a card. 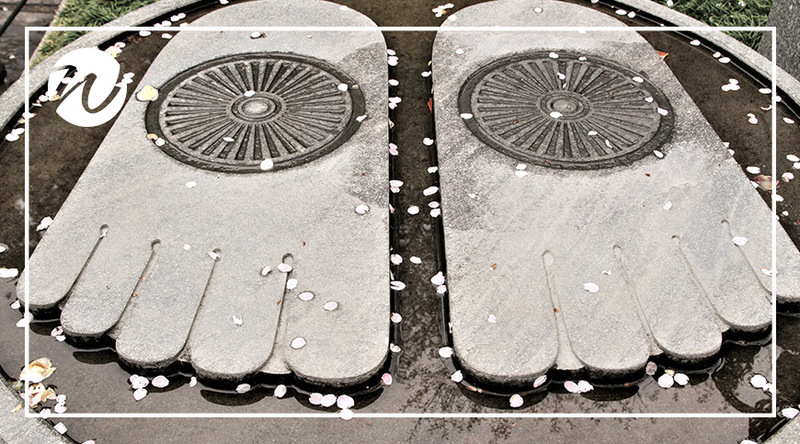 Introductions are more formal in Japan and still regarded as important in today’s culture. There is no custom of tipping in Japan. If you do leave a little extra cash on the table at a restaurant, a waiter will likely chase you down the street to give it back to you. Pop those tips back into your wallet and show your appreciation verbally! Check out the following infographic for even more hot tips so you won’t put a foot wrong.